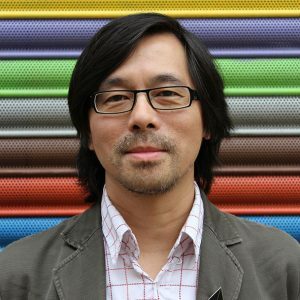 Kwong Lee is a freelance Contemporary Art Producer and a producer for Manchester International Festival. Between 2005 and 2016, he was the Director of Manchester’s Castlefield Gallery (CG), a publicly funded contemporary art venue and artist development agency. His recent freelance work has been with the University of Salford, artist groups and individual artists. From 2013 to 2016, Lee co-chaired Contemporary Visual Arts Manchester (CVAM), part of a national network, consisting of organisations, arts professionals and artists, promoting and supporting the work of the city region’s visual art eco-system. He is a member of the new Greater Manchester Culture Steering Group and is on the board of The Centre for Chinese Contemporary Art. Creating timely projects with artists. Centre Attendant at Centre for Chinese Contemporary Art (then called Chinese Arts Centre) in Manchester. Selling burgers and hotdogs at a music venue. As its director, establishing Castlefield Gallery as the leading development organisation for visual artists in the North West. That our school education systems do not value the arts as a serious subject, leading to potentially a decreasing demographic of people entering and enjoying the arts. Ability to listen and distil from all the different voices within an organisation/situation, b) Knowing how to pass on others’ initiatives with tact and grace c) Good sense of timing. The opportunity of working with artists. Kwong Lee will be participating in an exclusive live streamed conversation with Ibrahim Mahama.